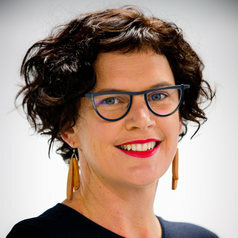 Cori Stewart is Associate Professor of Creative Industries at Queensland University of Technology. Cori develops large-scale transdisciplinary commercial research partnerships and is currently building manufacturing projects that provide global leadership in design and robotics as part of a wider Industry 4.0 innovation program. Before her appointment at QUT Cori was a senior government officer delivering creative industries, creative economy, innovation and entrepreneur & investment attraction policies and programs for a range of governments. Career highlights include delivery of Australia's first Creative City policy for Brisbane City Council; the world's first fully-fledged creative industries policy for the Queensland Government in collaboration with US economist Michael Porter; and mapping Queensland's start-up ecosystem. Cori has a significant track record of creating, managing and governing SME entities as well as large projects that bring together multiple and often complex partnerships across government, commercial, tertiary and NGO sectors.